Hey Guys! Tanner Bell here with a spring DIY Video for you. We're creating spring vases with Slick Paint. I know you're going to love how easy it to to create this. 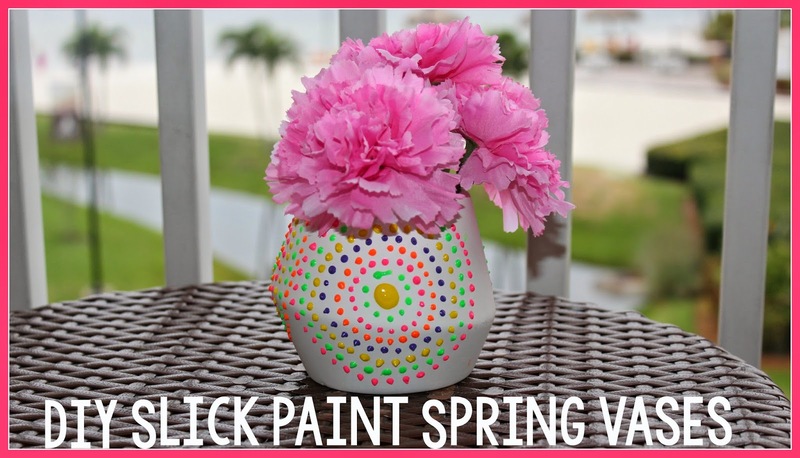 I hope you enjoyed this easy DIY Slick Paint Spring Vase tutorial! Leave me a comment and let me know what you would do to decorate the vase. Be sure to connect with me on my blog, A Little Craft In Your Day, Facebook, Twitter, and Instagram! I've always wanted to do project with vase. Maybe this is a good place to start! Love how it looks! See also more and compare for best prices deals for Vases here!